The Justice Department on Wednesday filed an amicus brief urging the U.S. Supreme Court to overturn Apple's appellate court win over Samsung in a nearly five-year-old patent dispute, a decision that would inevitably lead to a new round of litigation. According to Reuters, the filing brings into question Samsung's assertions that damages paid to redress found-infringed patents should be based on components rather than whole handset sales. It is unclear whether Samsung presented enough evidence to support its claims, the DOJ says, and thus the case should be returned to a lower court for further deliberation. During the numerous Apple v. Samsung jury trial sessions, and most recently appeals court proceedings, Samsung argued only individual phone components should be considered when calculating damages if the successfully leveraged design patent only applies to said components. When Samsung petitioned the Supreme Court in December, it said electronic devices "contain countless other features that give them remarkable functionality wholly unrelated to their design." Apple in its infringement claims said Samsung should pay up based on product sales. 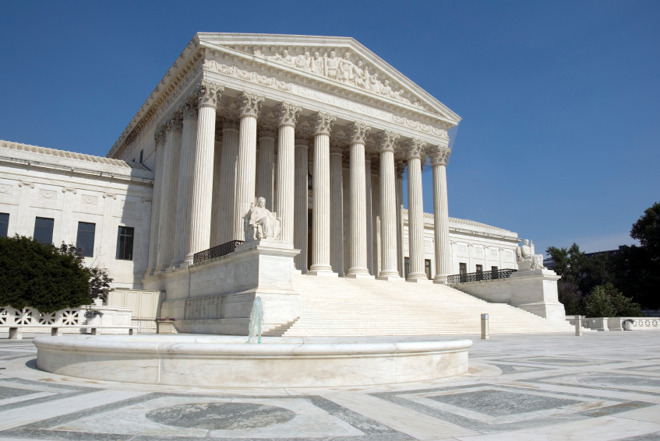 The Supreme Court agreed to investigate Samsung's petition in March. For its part, Apple in February filed in opposition of Samsung's request, saying the California case is "legally unexceptional." Apple won an initial $1.08 billion in damages as part of its first California patent infringement suit against Samsung in 2012. A subsequent partial retrial, a successful CAFC appeal and intervening court revisions brought that figure down to $548 million. Samsung agreed to pay the sum in December under the condition that it be reimbursed if judgment was reversed, modified or otherwise changed in the Korean company's favor.